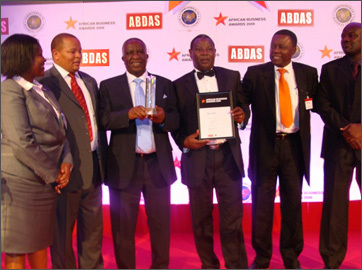 The African Business Development Association (ABDAS) was launched on 31st January 2006. Africa needs to put in big efforts today if it has to achieve a healthy atmosphere for the next generation. And to achieve this, there are practically just 2 ways. Firstly, we need to strengthen our economic and commercial ties, and secondly we need to win the confidence of the International business community. They have to see us not only as poor and needy, but realise our potential as the market of the future. What is that we do not possess – cheap land, manpower, natural resources. Probably it’s the invisible things like initiative, confidence or concentration. Why is that major international industrialists moving there facilities to countries like China or India and not Africa. We certainly have everything avilable at a cheaper price. We strongly feel that if there is something that can take us ahead, it is the development of business in the region. More businesses, more jobs, more money for better economy. The kind of words we have ever been associated with are poverty, violence, aid and corruption. It is time we get familiar with words like peace, prosperity, development and recognition. 1. Inviting foreign delegations for face to face meetings with various African trade authorities. 2. Guiding foreign investors on most lucrative areas of business and facilities. This one-stop facility offers advice, business planning and support for new business start-ups. 3. Showcasing African products in the international markets. 4. Showcasing foreign technology, equipment and machinery in Africa. 5. Organizing and promoting international trade fairs in Africa. 6. Organizing and financing participation of African manufacturers in trade fairs abroad. 7. Development of Tourism in Africa.